What does Building Performance mean to you? Every day, we see buildings that do not perform. They consume too much energy, maintenance costs are too high and people living and working in them are unhappy, unproductive or even sick. We believe buildings can perform better: they can be more efficient and more comfortable. Performance contracting is a very powerful tool in upgrading and managing buildings. We want to use this business model to the maximum extent. We don’t sell equipment or materials. We develop improvement projects and focus on the result. We are prepared to take our responsibility and share the investment risk. Our customers are SME’s, large companies, communities, schools, apartment buildings, energy cooperatives and public authorities. We provide solutions from start to finish, covering all relevant techniques. We participate in several research projects related to innovation in the field of performance contracting and energy efficiency. 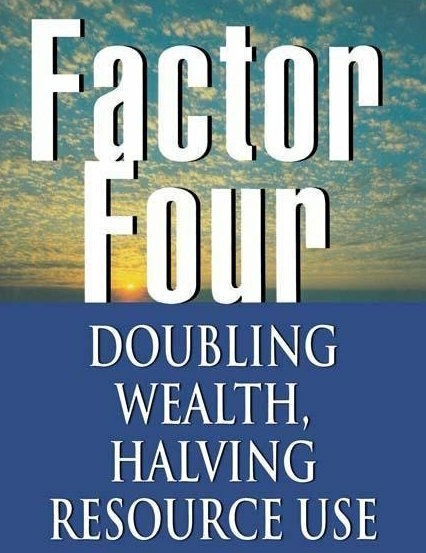 ‘Factor four’ refers to a fourfold increase in ‘resource productivity’ by simultaneously doubling wealth and halving resource consumption. The idea was introduced in 1998, in a book written by L. Hunter Lovins and Amory Lovins and Ernst von Weizsäcker.